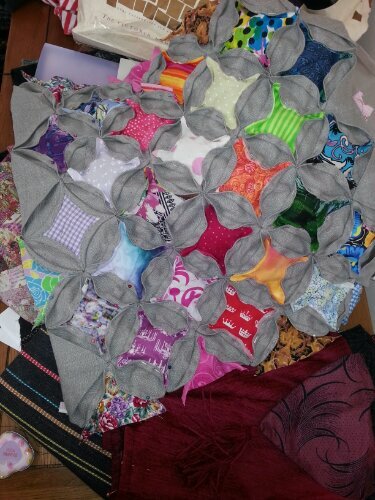 Cathedral window cushion in progress. Having fun with this, athough the gray IKEA fabric is tough to sew. Lots of memories in those little scraps.